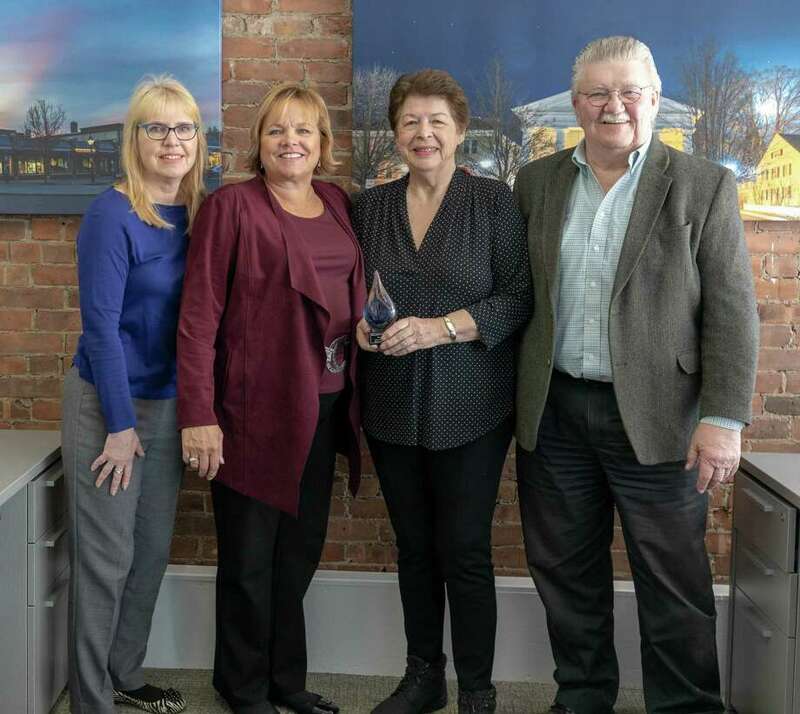 Maria Busi, third from left, was recently named the 2018 Realtor of the Year for the Greater New Milford Board of Realtors. Busi is shown with William Raveis’s New Milford Manager Eileen Brooks, second from left, and past Realtors of the Year, from left to right, Audrey Wilkicki (2015) and Wayne Piksura (2016) Missing is Elaine Barksdale (2017). The Greater New Milford Board of Realtors has announced Maria Busi of William Raveis Real Estate in New Milford as the 2018 Realtor of the Year. Busi, who was chosen by her peers, served on the board of directors for several years, in the treasurer and director positions, as well as on the Grievance Committee. She is working on her Professional Standards Committee certification. Busi is recognized for both her meticulously detailed and high-energy work as a Realtor and for her extensive history of volunteer work, including sitting on the board of directors for Loaves and Fishes Hospitality House, in the community. In addition, Busi has volunteered with Kent Kats for more than 10 years. In her professional life, Bisu specializes in single family homes, condominiums, and corporate relocations. Her primary areas of service have been Kent, Warren, Washington, Sherman, Sharon, Cornwall, Goshen, Bridgewater, Roxbury, Litchfield, and New Milford. She is fluent in both English and German.